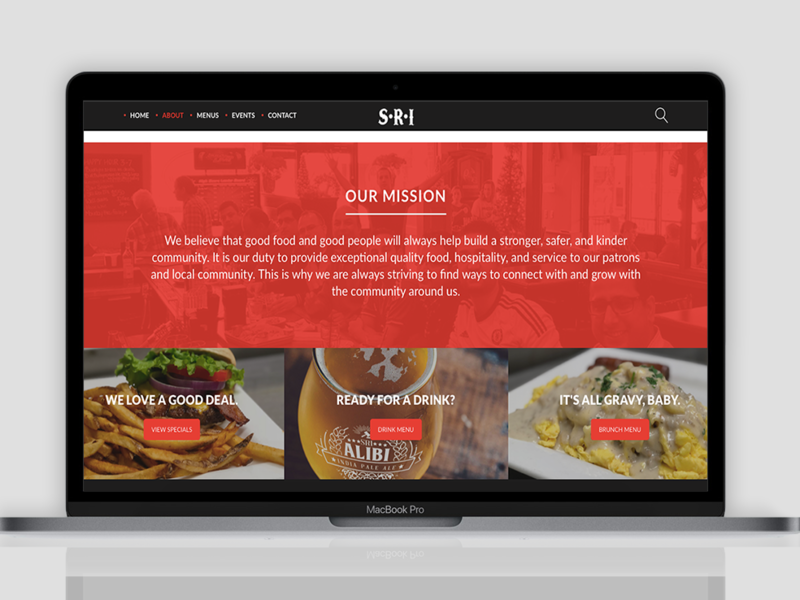 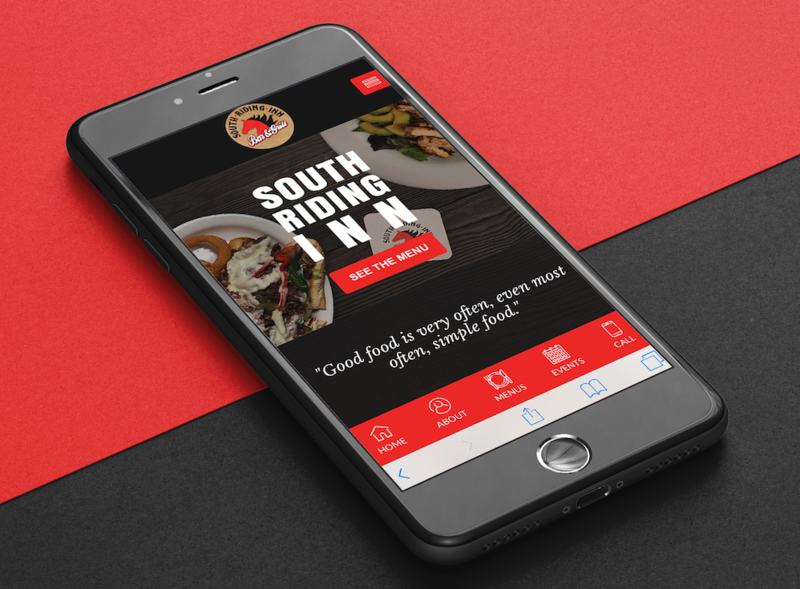 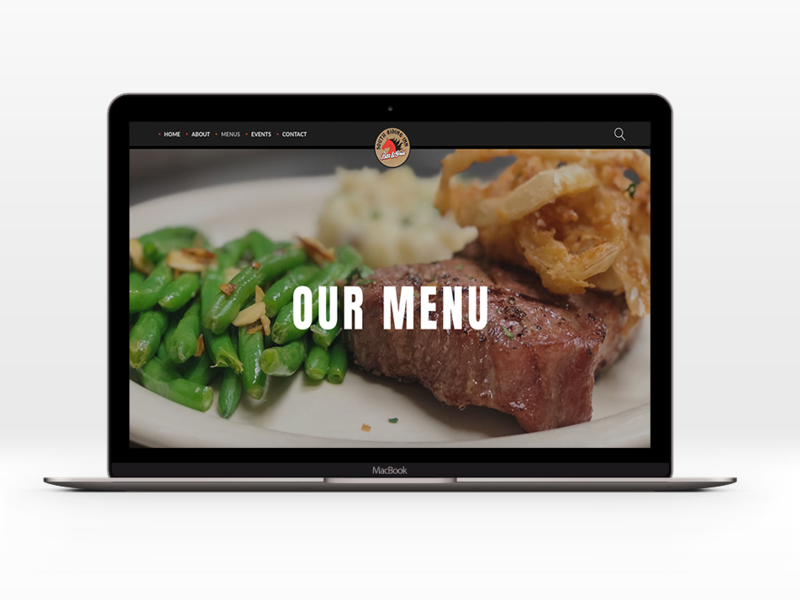 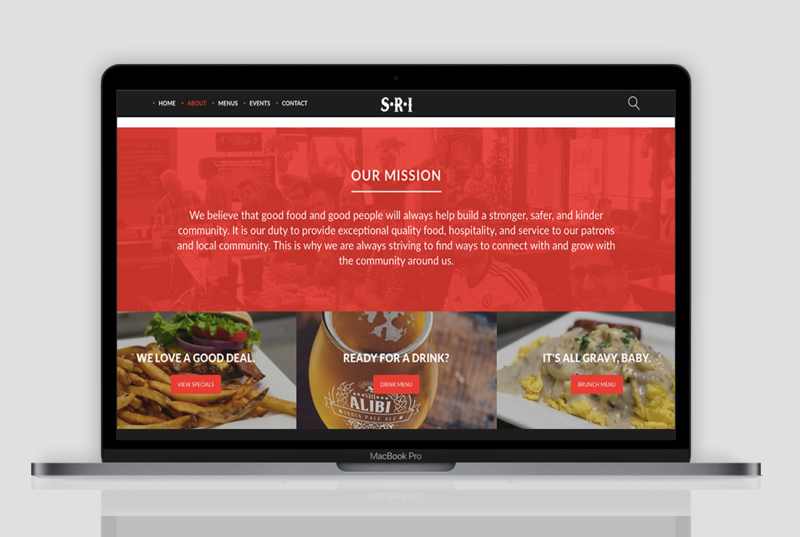 After updating South Riding Inn’s brand standards and embarking on a series of food ad campaigns, the next step towards a revamp was a complete website redesign. They wanted the newly updated site to be easy to use and focused on expanding the mobile friendly usability – all while extending their brand consistently from print and digital advertising to their newly made-over web presence. 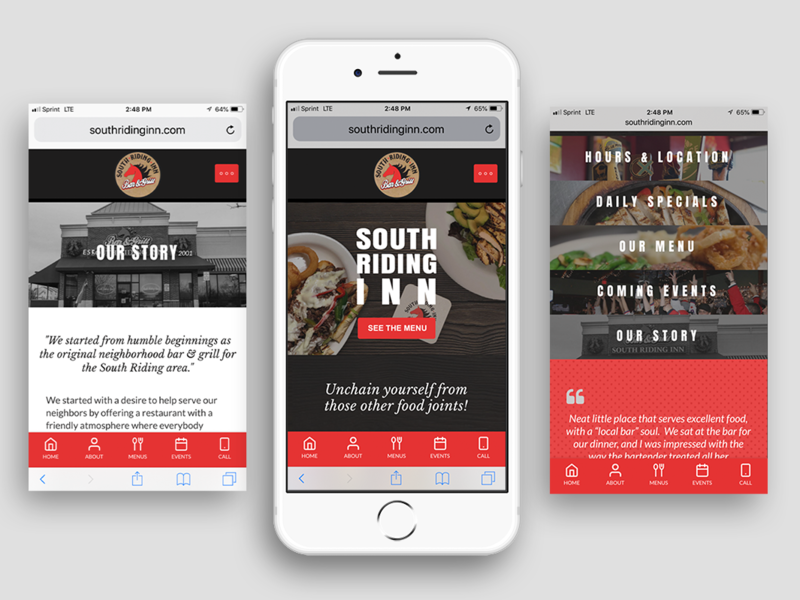 The updated, newly designed website is a user-friendly, interactive experience that I designed with the ‘mobile first’ philosophy in mind. 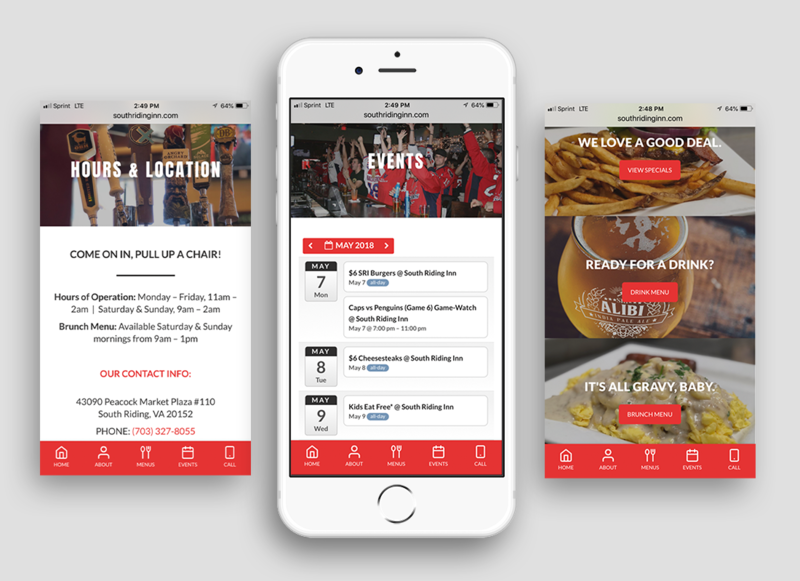 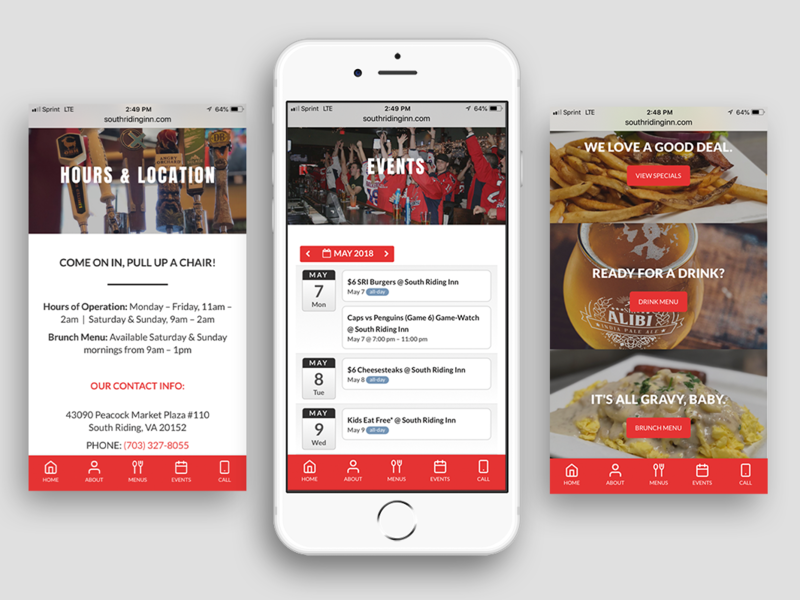 It features an interactive food menu and events calendar, along with an easy-to-use ‘mobile app-esque’ bottom nav menu for quick access to all the main pages and a fluid user experience. 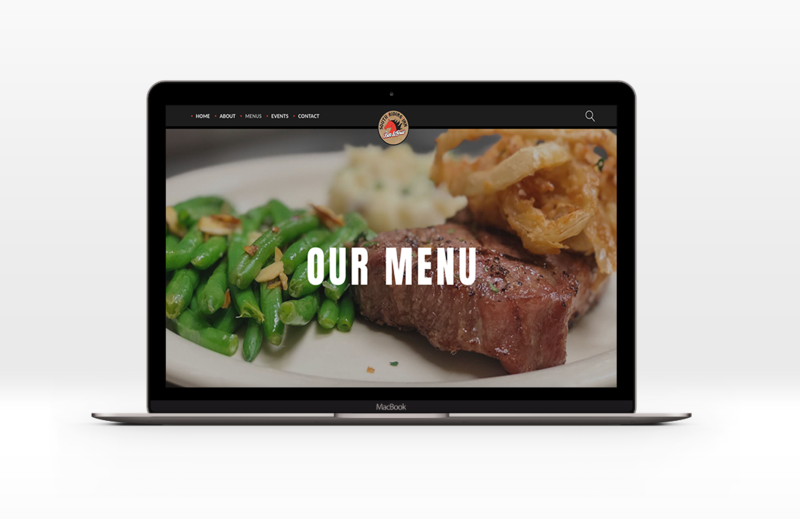 Style-wise, parallax scrolling features, and beautiful full screen HD food imagery are featured throughout, along with a refreshed palette to match their updated brand standards.